Wow! No engine upgrades, no suspension upgrades, they didnt squeeze a few more inches of travel? I am disappointed. 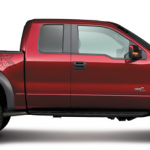 Ford called the new release the 2014 F-150 SVT Raptor Special Edition in response to a demand for more exclusivity in parallel to the extreme off road capability. The special edition will feature a unique exterior color, new graphics kits for the body, and higher end interior design features. The new color is a ruby red metallic exterior paint color and box side graphics. The upholstery on the seats will have brick red seat bolsters with black inserts and cloth honeycomb highlighting. The console will have a new finish as seen in the newly released photos. 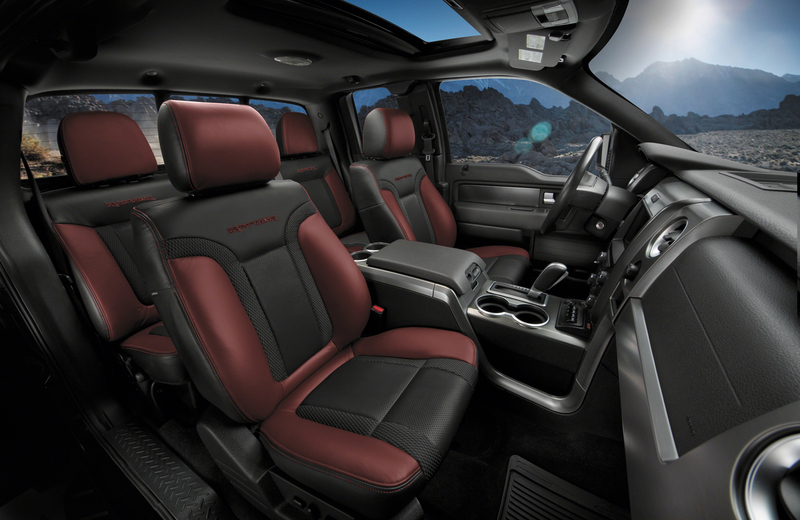 New door accents and center console accents will differentiate this special model from the other Raptors. 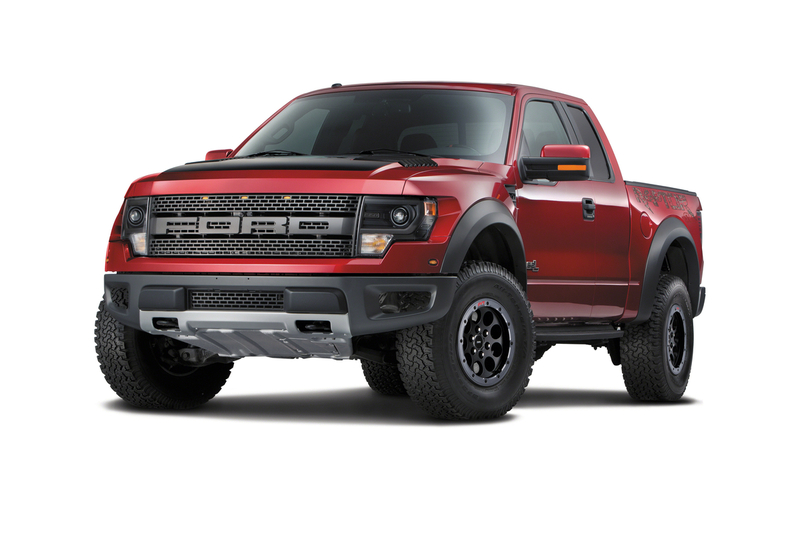 Personally I would not want a Ruby red raptor, so they also have a Tuxedo Black exterior color for the less flashy off roaders. 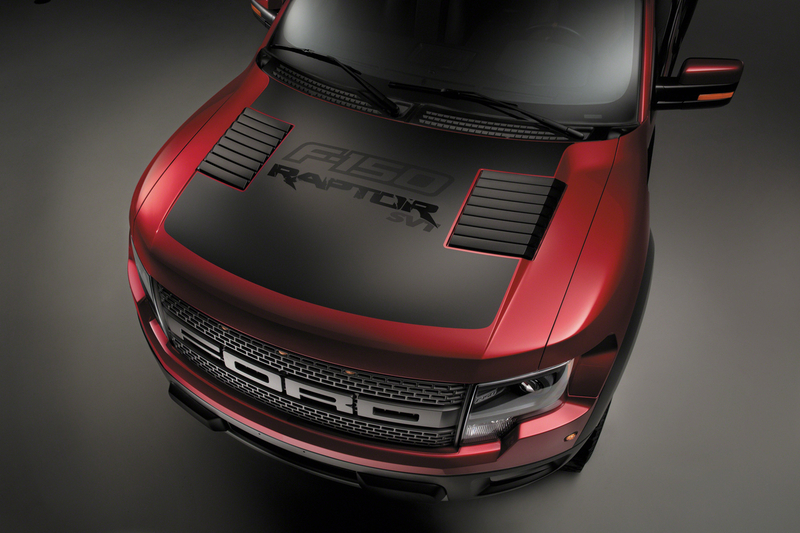 The SVT Raptor is seeing increased sales since its launch in 2009 with a 14% increase this year alone. 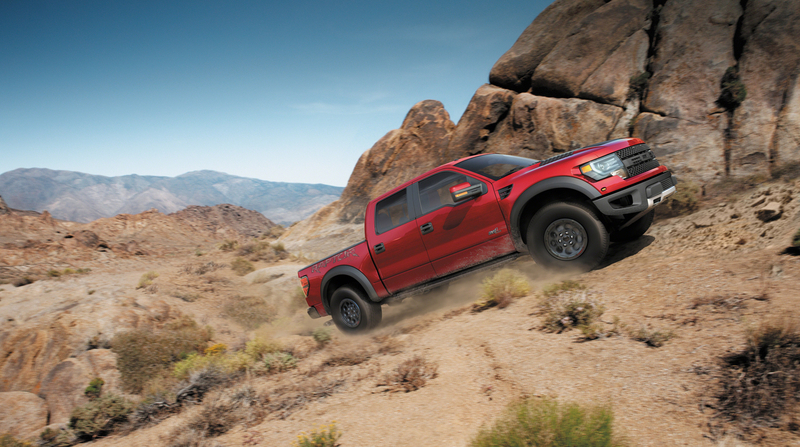 13k Raptors were sold by Ford in 2012 alone. Not a staggering number for a generic vehicle, but considering the price tag and the niche of potential customers, this is a great success for Ford Motors. Below is a quick recap of the changes. 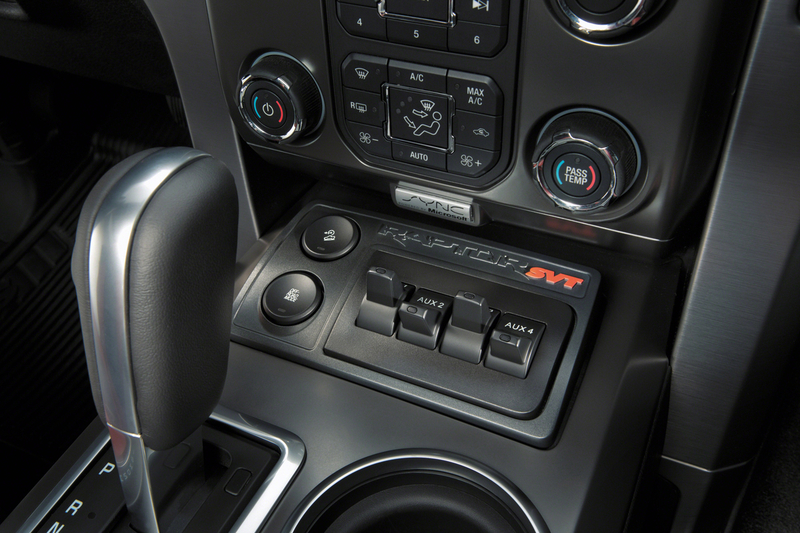 As per the previous models the Raptor SVT will come with a 6.2 liter V8 engine. This baby produces 411HP and 424FT-LBS of torque. 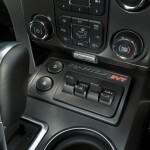 The transmission is a electronic 6 speed with tow mode and SelectShift modes. The 4 wheel drive system can also shift automatically which is nice for those stretches of dirt roads in between obstacles. Now we wait for the 2015 Raptor with hopefully so more exciting upgrades huh!! What do you want to see in the next model Raptor? Post your comments below after checking out the new pictures.